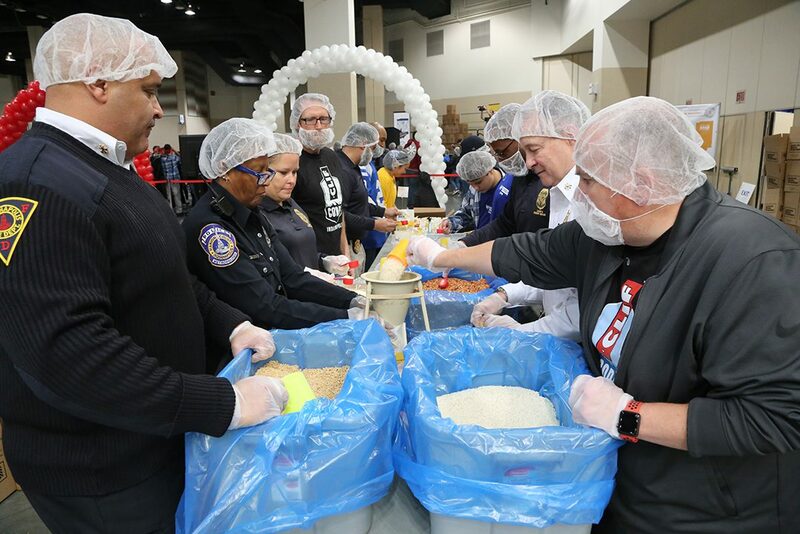 The Million Meal Movement took great strides toward living up to its name Nov. 13 as more than 3,000 volunteers prepared 630,000 meals at Lucas Oil Stadium to feed Hoosiers in need. 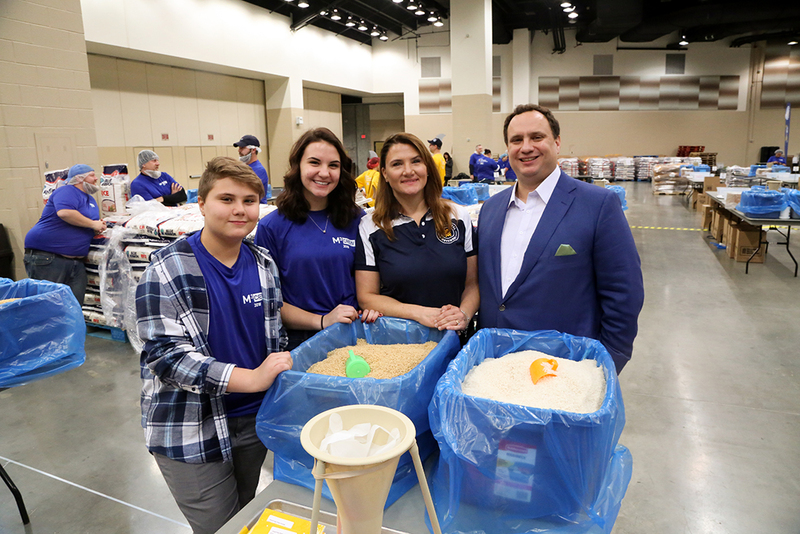 The annual Million Meal Marathon takes months of planning and thousands of volunteers to coordinate, a sophisticated effort that dwarfs the one or two tables set up for packing events in the Million Meal Movement’s first days. Yet, the nonprofit’s founders, Dan and Nancy Hintz of Carmel, knew early on that they might be on to something special. “We kind of stumbled into this and it worked and got big,” Dan Hintz said. The seed that blossomed into the Million Meal Movement was planted in 2006 when Nancy Hintz saw a feature on a similar program in another state on a national nightly news show. She and Dan figured Indiana already had a nonprofit following the model and were surprised to learn that it didn’t. So, after some research, the Hintzes decided to launch their own. They found an early partner in the Red Cross, which let the new nonprofit use its facility in Noblesville to pack meals. At first, Million Meal Movement sent boxes of food across the globe, and international events helped spark interest locally. But around the same time, the Hintzes realized the scope of food insecurity in Indiana as the nation struggled out of the Great Recession. Since then, Million Meal Movement has focused its efforts on feeding Hoosiers. 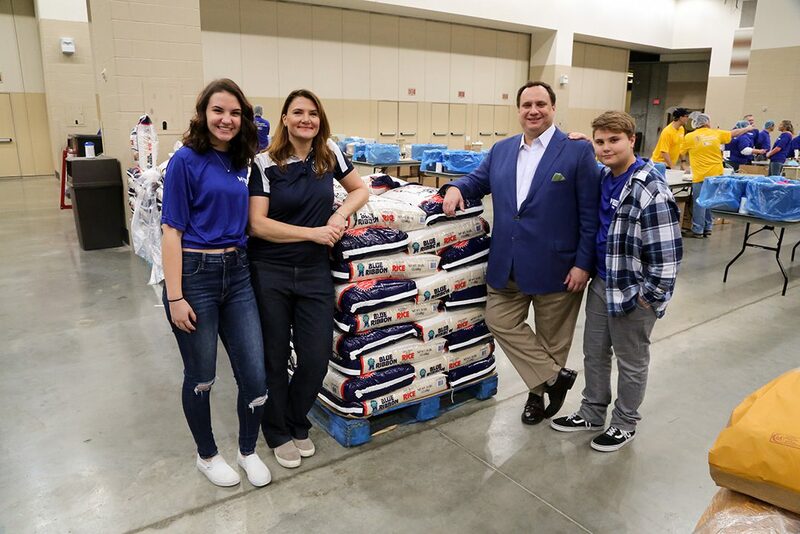 This year, all meals packed at the marathon will be picked up by Gleaners and Midwest food banks and distributed to food banks throughout the state. According to FeedingAmerica.org, more than 900,000 Indiana residents are food insecure, with nearly 9 percent of Hamilton County residents in this category. The Hintz family moved to Carmel in 2003, a place where the effects of hunger may not be easily seen. They’ve enjoyed participating in packing events with their kids – now 18, 17 and 12 – to help broaden their worldview. Although the Million Meal Marathon is by far the nonprofit’s largest event of the year, it holds packing events year-round. This year, it aims to pack 1.8 million meals, and next year its goal is 2.5 million. Remaining events in 2018 include a Thanksgiving Day Community Meal Pack from 9 to 11 a.m. Nov. 22 and a monthly packing event Dec. 15. Participation costs are $25 for children younger than 18, $35 per adult and $60 per family of four. Visit millionmealmovement.org for more information and a complete schedule. Many of the packs are sponsored by corporations who also provide employees to donate their time. Dan Hintz said some corporations participate in volunteer events instead of hosting a holiday party. Less than half of Million Meal Movement’s meals are packed at the marathon, but Nancy Hintz said the annual event is always a highlight.